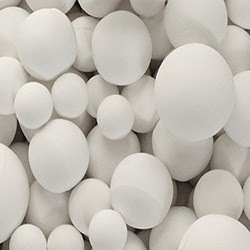 Activated alumina balls is an adsorbent exclusively used in the packed beds to eliminate fluoride, selenium, arsenic, beryllium and other natural organic matter out of water. Activated alumina balls are extremely capable of adsorbing the water vapors and moisture from the applications, where air purification is necessary to achieve the clean product. These balls are made by heating aluminum oxide at high temperature. These balls are non-toxic, colorless, tasteless and insoluble in water, which makes the desiccant a suitable choice for various applications used in water treatments, air, acid and petrochemical industry. They are used for ethylene, cracked gas, hydrogen, propylene drying process. They have the capability to adsorb polluted materials like sulfur oxide, hydrogen sulfide and hydrogen fluoride. These balls are produced by the process called dehydration using aluminum hydroxide. They come out in various kinds of sizes that can be utilized based on the requirements of specific application as well as the moisture capacity. 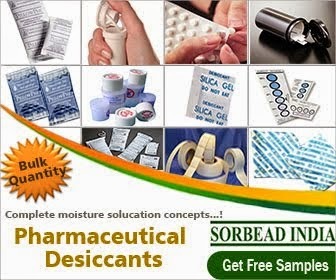 It is suitable desiccant for varying range of applications, where there is a need of high moisture adsorption. Alumina balls are especially designed for the removal and purification of acids from lubrication and synthetic oils in the vacuum pumps. The key benefits of it include removing metallic soaps out of oil; removing plasma etched acid contaminants out of the vacuum pump oil and returning oil to the condition where it appears in bright color. It can be effectively used on the fluids like vacuum pump oils, insulating oils, quench oils, transformer oils and mineral oils. It is also utilized as a point of entry as well as point of use in the water treatment device which tends to absorb contaminants rather than filtering them. The efficiency of activated alumina relies on the contaminants, the design of the device, characteristics of alumina and the water quality. The deployment of activated alumina turned as an effective treatment technique for source water with a sulfate concentration or high total levels of dissolved solids. Activated alumina devices include a packed bed of activated alumina beads. Since water passes via the device, some contaminants are adsorbed to activated alumina granules. The effective use of activated alumina is decided by the chemical form of contaminant to be eliminated. For instance, under certain situations chlorinating water ahead of the activated alumina treatment converts arsenic to the form that is most probably to be adsorbed by activated alumina. When untreated water contain suspended oils, pretreatment with five micron cartridge sediment filter is needed to prevent the obstruction of activated alumina bed.